"Tea with Crows" explores experiential aesthetics by embedding playful kinetic motion and shape-changing interfaces into interactive art. When people are nearby, the sculptural table opens its wings in three directions, like a blooming flower. Once opened, the table reveals three cups and saucers, inviting the audience to "tea time." 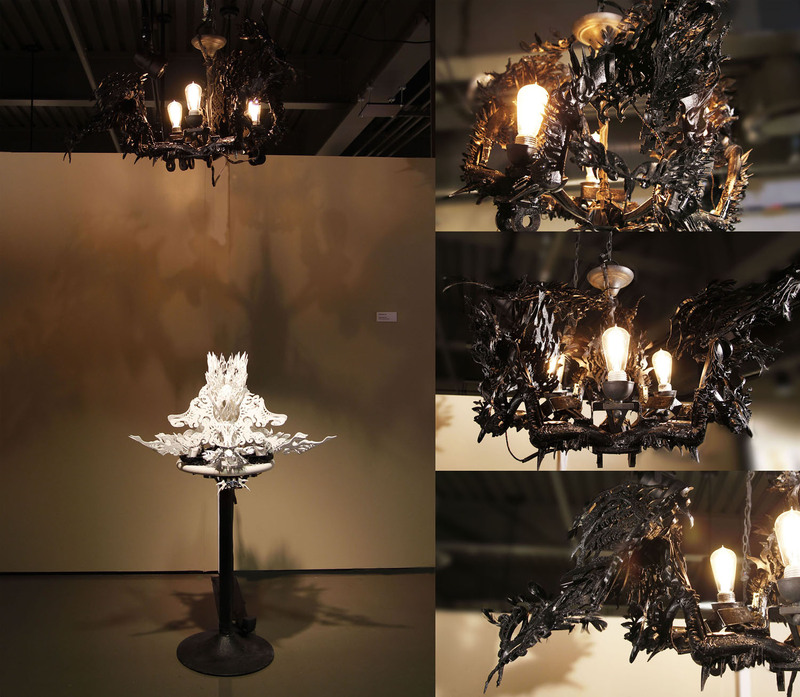 The upper sculpture is then activated, and three black birds attached to a chandelier begin a playful dance. When the audience leaves, the table transforms back into its original swan shape. "Tea with Crows" aims to create an engaging interaction through shared experience, emotionally connecting people together through technology in a social setting. A playful kinetic sculpture invites people to tea.